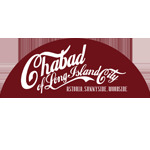 The JCC - Chabad LIC was created with one goal in mind - to offer all Jews, even those with little or no background - a home, and an education and memories that will inspire them for a lifetime. We strive to evoke a sense of history, love for the land of Israel, and a genuine understanding of what Judaism is all about, and thereby develop strong Jewish pride. Our center is founded on the principle that, while people embrace many levels of observance in their personal lives, there should be a place for no labels, and all affiliations. A place where people can develop a sense of community and enhance their own spiritual experiences of Judaism. We realize that when it comes to spirituality, it is NOT "one size fits all." We have therefore created a multifaceted program with various sub organizational departments to cater to the different needs of the many parts which comprise a community. Each department is managed by an individual of our staff that is fully dedicated to the development and expansion of that division. We aim to ensure maximum efficiency and quality of its programming so that everyone's needs can be catered to with the appropriate attention. Whatever department you are involved with, the trademark feeling of warmth and creative spiritual excitement flows through every program. We provide everyone with a taste of joyful Judaism according to their own specific interests, while at the same time being part of the larger community through its dynamic unifying energy of love, acceptance and commitment to non judgmental spiritual growth.